return addressing is included, free of charge. Make a statement with beautiful custom envelopes that complement your cards. Both recipient and return addressing is included, free of charge. Please note: Custom envelopes can only be created on desktop and are currently not available on mobile. 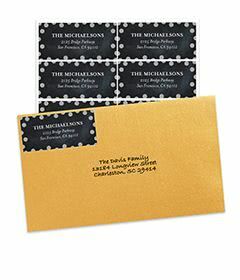 Address printing is FREE with the purchase of custom envelopes. We'll address all your envelopes for you—so you can give your writing hand a break! our range of beautiful designs. Pick a perfectly coordinated envelope to stand out in the mailbox. will arrive ready to send. How do I get custom envelopes? 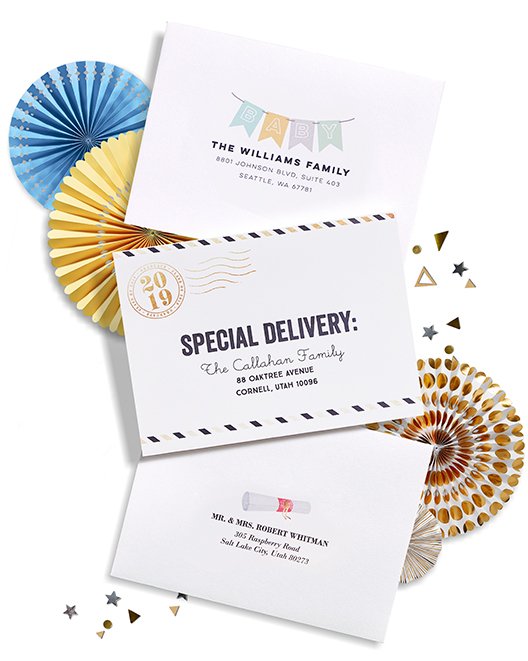 You can add custom envelopes while personalizing your cards. 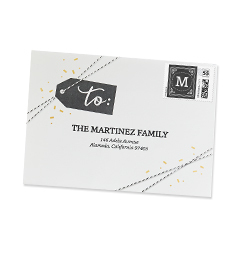 Just follow the steps to personalize your cards and you'll be prompted to choose your custom envelopes when you reach the "envelopes" step towards the end of creating your card. Are custom envelopes available on all cards? Custom envelopes are only available on certain card sizes and occasions. What color envelopes can I choose with free recipient addressing? Custom envelopes are only available on white envelopes. Can I create custom envelopes on a mobile device? Unfortunately, right now custom envelopes can only be created on desktop. How do I add addresses? When creating your card, under the "Addressing" step, select "Address my envelopes for me" and click "Both Addresses" if you want to print your return address as well as recipient addresses. Ensure your correct home address is shown on your envelope. To change your address, select "Change return address." To begin your recipient addressing, click "Select Recipients" from your address book and choose the recipients you want to include for address printing. To add more recipients, you can either import a file by clicking "Import" or manually add one recipient at a time by clicking "Add New." 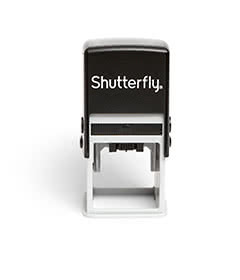 Do you print both recipient and return addresses? Yes! Recipient and return address printing are both included with your purchase of custom envelopes. Addressing on plain white envelopes (which are not custom envelopes) come with a charge of $0.39 each. Can I have just my return address printed? Yes, when personalizing your envelopes, choose "Return Address Only." Can I order custom envelopes with no address printing? Yes, when personalizing your envelopes, choose "Design Only." Can I add addresses after I buy my cards? No, recipient address printing is only available before checkout. Can I choose the address font and size for my envelopes? Yes, you can change the size and font when personalizing your envelopes. This is also important if names or address are getting cut off, you can try decreasing the font size and/or choosing another font. Just keep in mind that any changes you make will apply to every envelope. Can you mail my cards for me? 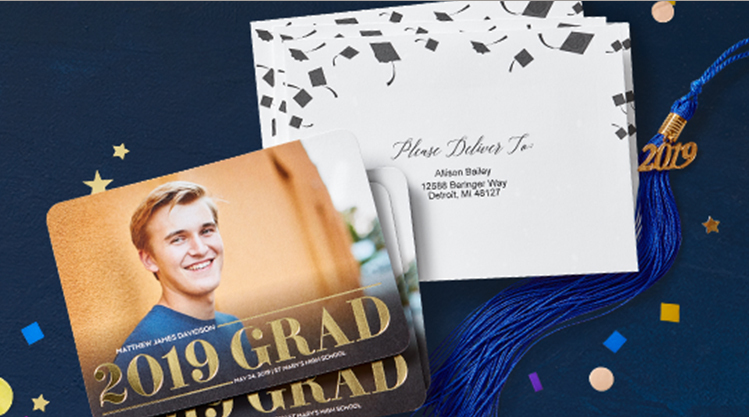 Cards ordered with white envelopes, whether plain or custom, can be mailed to your recipients for a fee of $0.55 each (including the cost of printed addressing). Address printing is free when purchasing custom envelopes. What are my shipping options for custom envelopes? You can choose from Economy, Standard, Expedited, Rush or Super Rush Shipping.